Making the eyes look bigger definitely makes your face appear slim and increase the beauty of your face. 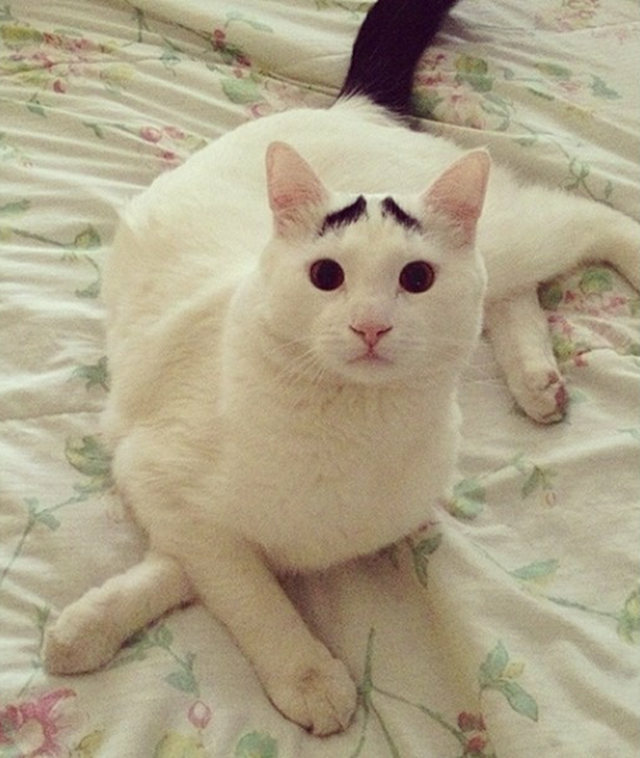 There are different methods by which you can make your eyed look bigger. 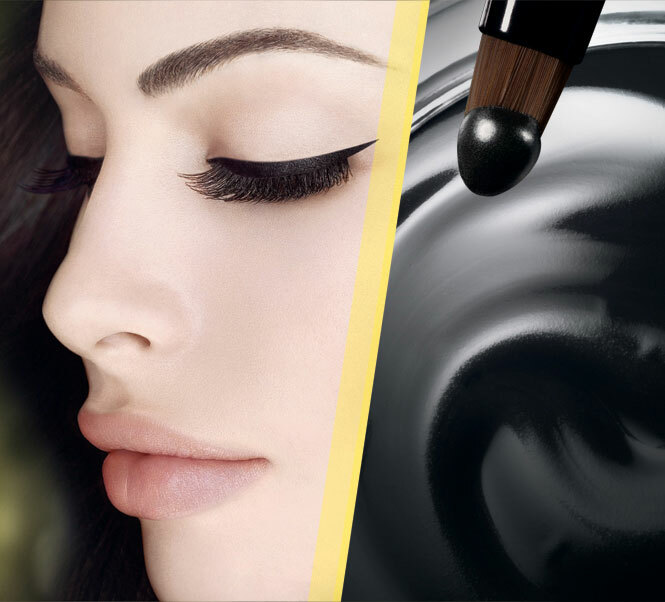 Some of the common ways include applying different shades on different sides of the eyes. Moreover, the overall makeup on the face can also help in making the eyes look bigger. However, the easiest and effective way to make eyes look bigger is to use fake eyelashes. After you apply the fake eyelashes, you will give your eyes a fresher, brighter and dramatic look, without damaging your real eyelashes. Choose the right type of fake eyelashes that you plan to use. If you want to apply them in the daytime, then you should go for lighter ones. On the contrary, dark ones will suit you best if you are going on an evening party. 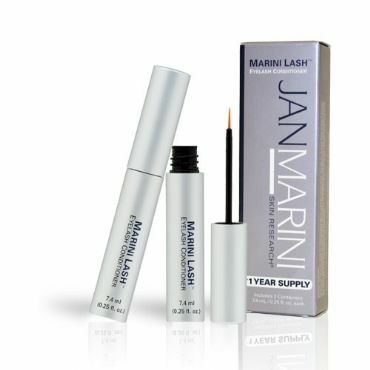 If you are new to applying the eyelashes, you should then go for the eyelashes kit, rather than buy individual eyelashes. You will also require special type of glue/adhesive, which will be included in your kit. Take out the fake eyelashes and trim them by using scissors. 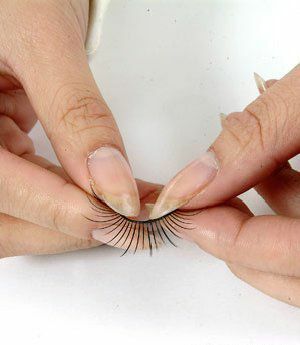 Make sure you do not let the fake eyelashes too long, compared to your real eyelashes. If you cut them in length that is slightly longer than your real ones, then it will give your eyes natural look. Gather the materials, such as tweezers and magnifying glass, which will help you in applying the eyelashes on your eyelids. 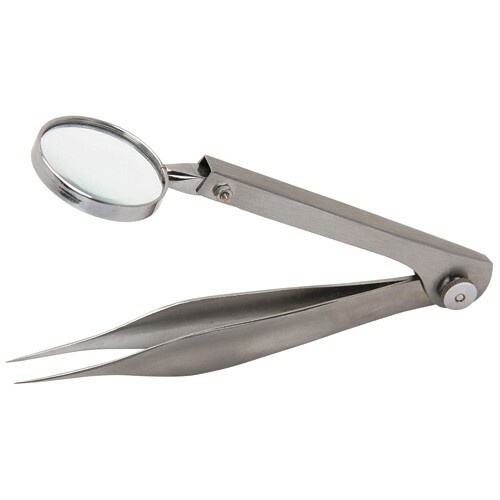 Tweezers will help in holding the lashes, while magnifying glass will help in positioning them. Make your skin free of oil and dirt. You can do it by washing your face, especially the area around your eyes. 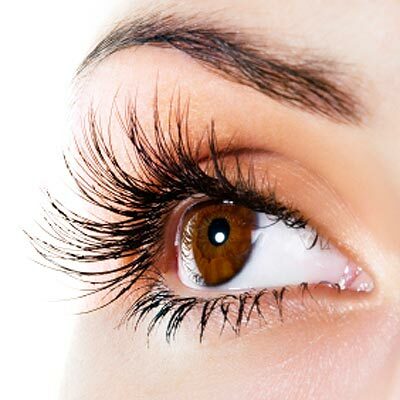 It will allow the eyelashes to stick well with your skin. 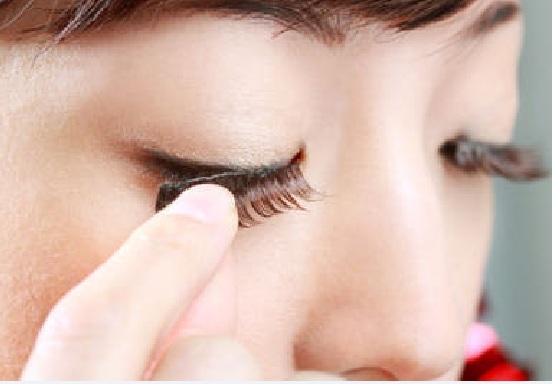 Before you apply the fake eyelashes, you should first give curls to your natural eyelashes. 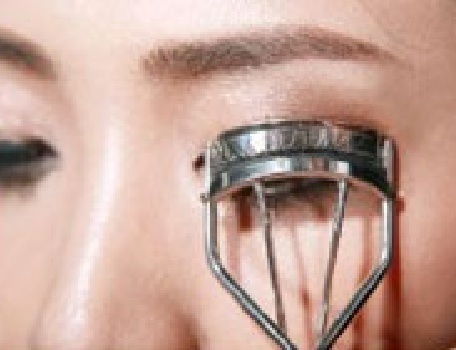 You can use eyelash curler for that purpose. It is advised that you heat up the curler with a blower, which will make the curler work like the curling iron. The curls will allow your real eyelashes to blend well with the fake ones. 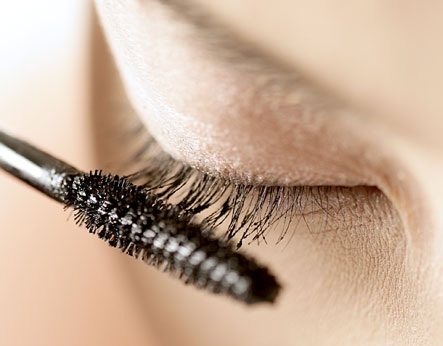 Hold the fake eyelashes in your hands and bend them several times. 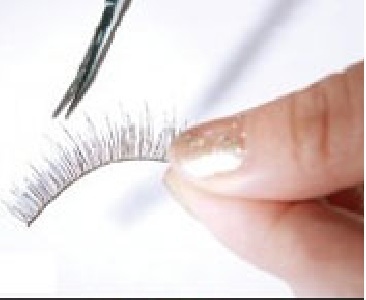 Add glue to the base of the eyelashes and allow it to become a little dry and sticky. Now place the fake eyelashes one by one on your eyelids. Make sure you paste the base as close as possible, to your real eyelashes. Now let the glue to get dry and stick it by pressing it with your finger. Now you can add some more makeup to your eyes, to give them a bigger look. You can add mascara and you can also give your real and fake eyelashes curls at the same time.